When Venus first appeared in the skies shortly before 2500 B.C., ancient peoples worldwide strove to come to terms with this brilliant and awesome new comet-planet (the best account is in Immanuel Velikovsky, Worlds in Collision, though it needs some revision). That meant assigning the deity a gender and a name. In the Near East, they tried both genders. In its masculine incarnation, Venus became the Bull of Heaven (as Velikovsky pointed out, the comet-planet’s body blocked the sun’s rays from the central portion of its tail and thus it was seen as having two horns). In its feminine version, Venus was called Ishtar or Astarte; and in the Levant Astarte was depicted with serpents in her hands—the twin tails of the comet. In Greece, according to Velikovsky, planet Venus was originally named Athena. He interpreted the myth of her birth from the head of Zeus to mean that Venus had exploded out of Jupiter and headed on a trajectory into the inner solar system that led it to approach Earth at 52-year intervals, causing catastrophes upon especially close approaches. Velikovsky’s views gave rise to a terrific controversy that lasted for 30 years. Among many points of contention, his argument that Venus emerged from Jupiter encountered the greatest rejection; understandably, it seemed bizarre and contrary to the laws of physics to many scientists, so it helped his critics discredit him and marginalize his supporters. Now we can see that there is, in fact, a commonsensical explanation. If we consider the enormously powerful gravitational pull of Jupiter, as evidenced most recently in the break-up of comet Shoemaker-Levy, we can easily interpret the initial part of the myth that Velikovsky overlooked. Zeus had impregnated his consort Metis, then, fearing her offspring, he tricked her into flying into his mouth. But she gave birth to Athena inside him, meaning that the ancient Greek observer evidently saw Venus approach Jupiter, then (entering the mouth) disappear behind it, and finally appear on the other side of it (exiting the head), glowing brightly and with a cometary tail from the extreme heating caused by tidal friction. We also now have a new theory, for which there is plenty of evidence, that depicts this origin of Venus as part of a larger pattern by which the other terrestrial planets were originally pulled by Jupiter into the inner solar system billions of years before. 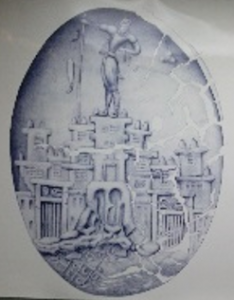 Thus, whereas previously critics were able to argue that Athena was not the planet Venus and to dismiss Velikovsky entirely, we now have excellent reasons to think that Velikovsky was right that Athena was the original Greek Venus; and this lends strength to his other contentions, though it certainly does not prove them. But where did Athena get her name, and what did it mean? Many visitors to the Greek volcanic island Santorini have noted the curious fact that the Greek name of the island—Thira—differs only slightly from the name of its main town—Fira. We can surmise that the locals are still pronouncing the name in the original way while uninformed outsiders have changed the F to Th. If we apply this pattern to Athena, her original name appears to be A Fena. Instead of the unpersuasive etymologies usually offered for Athena or the unsatisfactory solution of no etymology at all, A Fena is rich in meaning. It means The Phoenician, the perfect epithet for Venus, the brilliant comet arising as the morning star over Phoenicia. It also may have been deliberately chosen to link up with the cult of the great goddess Astarte/Ishtar from the Near East. With the passage of time, outsiders evidently changed the F to Th, and as the name Athena spread throughout Greece, for the goddess was worshipped in many places, the link with Phoenicia and with the original meaning of Venus was lost. So the Greeks recruited a new goddess for Venus, which over the centuries was slowly losing its cometary tail and had ceased to approach and threaten Earth, instead becoming a benign beauty: Aphrodite. Tellingly, Aphrodite’s epithet in Homer was Kibris—Cyprus, also a place to the East where Venus arose every morning. Thus the old argument of Martin Nilsson that the famous Minoan Snake Goddess was related to Athena receives significant support. And we can perceive that the Romans’ Venus was originally Fenus, also The Phoenician. It is not clear whether Fenus was originally a male and then shifted gender or whether the masculine ending of Venus, -us, most anomalous for the goddess of love, was actually an attempt to capture the S sound of the third consonant in FeNiS or Phoenician. The etymology typically provided for Venus—that it came from venere—would appear to have the direction reversed. Meanwhile, Poseidon also plays a key role in this story. Before Poseidon was assigned the sea as his domain and given a trident, he had been a very different character. His epithet of Earth Shaker has suggested to various scholars that he was a chthonic god, and this is traced back to a putative Central Asian origin, far from the sea. However, if we view Poseidon from the perspective of the Near East, a different pattern emerges. With the common change of P to B, we have the Greek word for bull: Bos. And it is followed by eidon. In the Linear B Mycenaean Greek, this is variously rendered as edao or edawone. These variants can be seen as efforts by Greek speakers to capture the vowel sounds of the Semitic eden עדן , the word for paradise or heaven. Eventually they came to use ei (ει) for the Semitic ayin (ע). As the ayin in turn tended to lower or darken the second, unwritten vowel, they rendered that as omega (ω), yielding Poseidon ( Ποσειδων). In other words, we are dealing with Bos-eden (pronounced more like Bos-eidon), the Bull of Heaven, with the Greeks taking over the Semitic word for heaven, perhaps in imitation of what the Minoans had originally done (the Minoans may also have been the first to use the epithet The Phoenician). This interpretation of the name Poseidon fits closely with the well-known bull cult of Minoan Crete as well as with the later Greek myth of Poseidon acting as the instigator of the Minotaur. Poseidon was also the deity of bull cults in Crete and elsewhere in Greece. 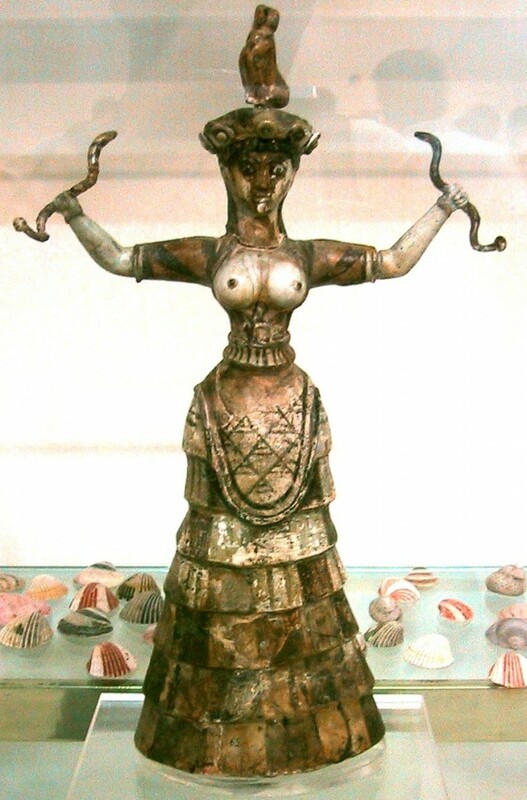 In effect, the Minoans, and the Mycenaeans after them, had both male and female (The Snake Goddess) gods for the comet-planet Venus. And the epithet Earth Shaker of Poseidon is not an indicator of a chthonic god but rather entirely comprehensible as the epithet of a Venus god whose close approaches to Earth occasioned devastating earthquakes via gravitational interaction. The ancient peoples had no desire to offend the Bull of Heaven. However, they would also evidently have liked to obtain protection against him. Thus we read in The Epic of Gilgamesh of the heroic slaying of the Bull of Heaven. And perhaps this can also explain the remarkable Master Impression of Chania (ancient Kydonia) from Minoan times (click to enlarge). The only object to be seen in the sky is at the right, behind the Master. It is a puffy, 3-lobed cloud (hard to explain) with two prongs extending from it (easy to explain—the twin tails of Venus, aka the horns of the Bull of Heaven). One interpretation would be that the Master was the Minoan equivalent of an evolved Poseidon, a powerful anthropomorphic figure associated with the bull cult but capable of using his long spear to protect his people by slaying the Bull of Heaven. If this didn’t work out, the so-called “horns of consecration” on the houses perhaps could serve to placate the Bull of Heaven even as they honored the Minoan version of Poseidon. Note the Master’s horns and the division of his hair into two trailing sets of strands. All this leaves us in a position better to interpret the famous mythical contest between Athena and Poseidon for the favor of the Athenian people—the right to be the patron deity of the city. In a sense, it was an effort to decide about the comet-planet—Is it a boy or is it a girl? The decision in favor of Athena was hedged by a cautious retention of the traditional ceremonies of the Erechthion, seen as the most sacred of Athenian places and associated with Poseidon. One did not want to offend such a powerful god. Who, after all, had caused the explosion of Santorini and repeated massive earthquakes? Not for nothing was he called the Earth Shaker. What conclusions can we draw from this account? 1. 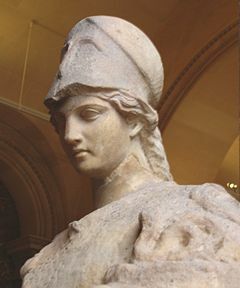 The etymologies of Athena, Poseidon, and Venus constitute more pieces of evidence substantiating the Venus theory; and the etymology of Athena has special importance because the story of her birth from the head of Zeus is central to the correct interpretation of the origin of Planet Venus. 2. 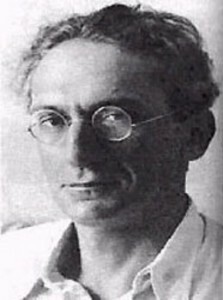 Immanuel Velikovsky was a great theoretical scientist. Even though he made plenty of mistakes, they were the forgivable mistakes of a very insightful pioneer researcher. His contributions on the subject of the comet-planet Venus were a major contribution to science and history. 3. The Velikovsky controversy has ended. The Venus theory has triumphed, though it might take many years for some people to understand this. In addition to the easy-to-interpret myth of Metis, the graphic parallel with Shoemaker-Levy, and the accompanying theory of the terrestrial planets, we have plentiful new evidence that all supports Velikovsky’s theory. This does not mean that many peripheral questions do not remain open to debate. Rather, it means that, even as we debate them, we should investigate the various dimensions of Velikovsky’s wide-ranging theory, including those related to climate change, for which the Bronze Age catastrophes offer abundant but not-easy-to-interpret evidence. 4. Every serious student of ancient history and planetary science should read Worlds in Collision.